With the Eneco Tour still ongoing, the only result to affect the International Cycling Union’s (UCI’s) World Ranking classification was Sunday’s Grand Prix Ouest France-Plouay. 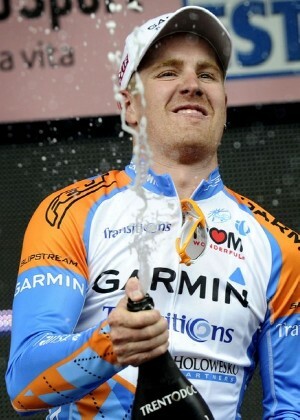 Race winner Matt Goss (HTC-Columbia) netted 80 points to add to the 24 that he earned during the Giro d’Italia in May, giving him a new total of 104 and raising him from 98th to 37th place. The headline mover in the classification though is Plouay second place finisher Tyler Farrar (Garmin-Transitions), whose 60 points raise him from 18th to eighth in the rankings. August has been a good month for the American, who had risen from an anonymous 33rd to that 18th place the week before after his win at the Vattenfall Cyclassics. The rest of the top ten is made up of classics specialists and Grand Tour riders, or both in the case of World champion Cadel Evans (BMC Racing). The final Eneco Tour result will likely have little effect on the rankings, with current leader Tony Martin (HTC-Columbia) currently in 62nd place; the Vuelta a España, which starts on Saturday, will give many riders the chance to threaten classification leader Alberto Contador (Astana). Goss’ victory means that his HTC-Columbia team leapfrogs Liquigas-Doimo to move into fifth place in the team rankings. Further points for Farrar also sees Garmin-Transitions continue to rise in the standings; Farrar’s results, as well as he recent form of Irish teammate Daniel Martin, lift the Argyle team into seventh place. The national rankings are largely static, but Goss’ and Farrar’s points mean that Australia and the USA are creeping ever closer to third-placed Belgium. None of the top three countries scored any points in Plouay so Spain holds its lead with almost twice as many points as second placed Italy.